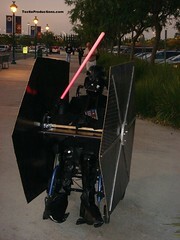 This entry was posted in Uncategorized and tagged adaptive costume, coffee, Cup of Joe, deployment, Halloween, kindness, Military, Military Special Needs Network, Monster High, special needs children by Gina left the mall. Bookmark the permalink. I think what you all do is amazing, but thank you 🙂 Glad you’re going to check out COJ. What they set up is simple and inexpensive to do (you can even buy just one cup for $2) yet the impact is great. Happy Halloween! Thanks for sending our troops a warm cuppa. I know they really appreciate it! Happy Halloween! It so nice to know that a cup of coffee can make them smile. It’s a pleasure to send it. Happy Halloween! Great post! Thanks for putting this Holiday to good use! Thank you for promoting this again. I am a self-professed coffee addict (decaf as much as possible) and love sharing life over a hot mug on a cold morning. I am going to send my first box today! I am a coffee addict as well! I usually drink 1/2 decaf figuring this means I can drink twice as much 🙂 I hope you enjoy COJ as much as I do! Gina, thanks for mentioning the Special Needs blog. I keep imagining the children smiling and happy in their Halloween costumes. So moving! No matter what challenge someone is facing, it is always more difficult if they feel alone in their struggle. So I am happy to help more people become aware of MSNN. And I really love the whole costume thing too for the same reasons! I love your posts, Gina. I would never have known about so many programs that are out there to help the troops and their families if it wasn’t for your blog. The adaptive costumes rock! I’m so glad that there are thoughtful people out there that make sure no one is left out. Hope you guys had a Happy Halloween! Those costumes are pretty awesome. Feeling like we belong somewhere, being included, is something important for all us. But even more so when you’re a kid. Our Halloween was pretty nice, hope yours was too. Thanks so much for reading!